So, I'll be focusing on Smith's as well as CVS (the closest is located at the de Vargas Mall), my favorite drugstore. I'll occasionally be listing deals at Walgreens and Target. I haven't been to Walmart since I almost stepped on a dead kitten in the parking lot...I'd just rather not go there! 1. Sunday papers. The Monitor always has Smartsource, but for the P&G and General Mills inserts, you'll need to purchase (or borrow from a friend who doesn't coupon!) the Santa Fe New Mexican or Albuquerque Journal. 2. Red Plum: these are delivered in the mail each Tuesday or Wednesday. 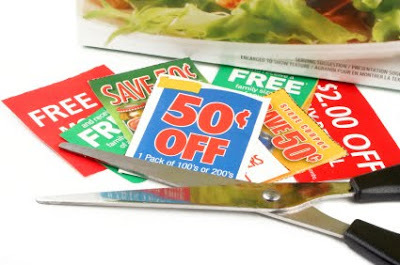 Most people throw these away as "junk," but there are some great coupons in them! 4. You may also load digital coupons onto your Smith's rewards card--just fill out your card info, then select the coupons you would like.